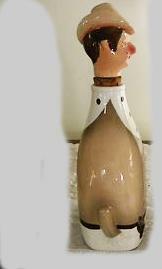 Cowboy Bourbon Ceramic Bottle, Decanter . The condition is excellent. It is marked "Japan" on the bottom. He measures 10.25 inches tall. 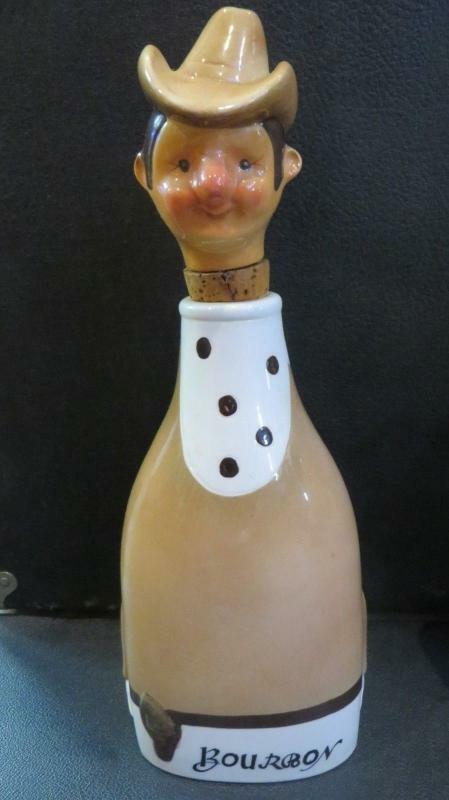 Items Similar To "Cowboy Bourbon Ceramic Bottle, Decanter"
Amber Rooster Bottle Decanter Jeffery Snyder Pat Pend.